Terpstra Media - The Definition of Happiness - "Just do good"
Sometimes you meet people who instantly make you feel happy and loved. Well… Titiana Rach is one of them. For ‘The Definition of Happiness’ we had the chance to talk to this warmhearted lady. 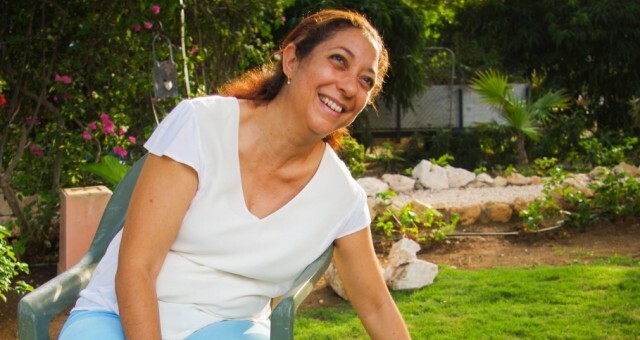 Titiana works as a pedagogical worker in the St. Elisabeth Hospital (Sehos) in Curaçao. She also was a Cliniclown and is the treasurer of Mucha pa Mucha, a foundation that tries to make the children’s ward at the Sehos hospital even more child friendly. To Titiana happiness is living a meaningful life. What makes her most happy is helping children. We asked Titiana about the level of happiness in Curaçao. Titiana thinks that although there are many poor families in Curaçao, this doesn’t mean they are unhappy. What matters is if whether they set money and luxury as one of their life goals. If so, they may feel unsatisfied and unhappy, but if not it is possible to live a happy life. However, Titiana noticed that over the past years Curaçao has changed. More and more people are becoming more materialistic and focusing on luxury. People compare themselves with each other, making even the most happy people feel unsatisfied because they see their neighbors having more, newer and better things than they have. Titiana remarks: “There are almost no more basic playgrounds on the island”. Titiana’s happiness comes from doing good. And this is what she also tells others: “Just do good”. Everyone knows when he or she is doing the right thing and Titiana strongly believes that there isn’t a single person in this world who has a natural intention to do harm. People do harm because of their circumstances or mental issues.